Old toilet? Fill a 1/2 gallon plastic container with water or gravel and add to the tank for a savings of 1/2 gallon per flush. Install a low-flow showerhead and save water without losing the pressure. Two minutes less in the shower could save 46,000 gallons of water per year! A full bath tub can require 70 gallons of water, while taking a 5-minute shower uses only 10 to 25 gallons. Wash only full loads of dishes and clothes to make the most of the washing cycle. Replace your old washing machine with a high-efficiency model and use up to 50% less water and electricity. Installing a low-flow aerator is one of the most cost-effective ways to save water. You can increase the faucet's efficiency by 30% without sacrificing performance. Repair dripping faucets. A drip rate of one drip per second can waste more than 3,000 gallons per year. Consider installing a low-flow or dual flush toilet that uses less water, while offering equal or superior performance, and save 18% on your water bill. Be sure to check for leaks at least once a year. A full bathtub needs 70 gallons to fill, fill the tub halfway or less. When running a bath, plug the tub before turning on the water and adjust the temperature as it fills. Install a low-flow showerhead, modern showerheads reduce the flow without losing pressure. 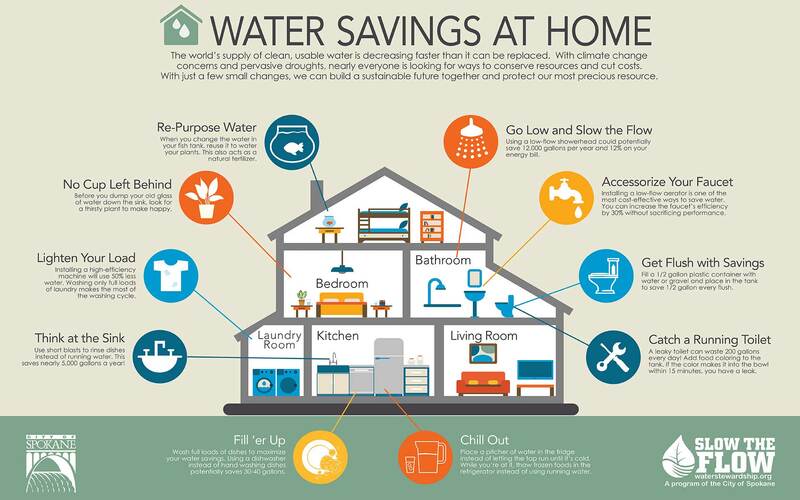 Using a low-flow showerhead can save 12,000 gallons a year. Replacing your old washing machine with a high-efficiency model and use up to 50% less water and electricity. Install a water and energy efficient dishwasher and save 3-8 gallons per load. If your dishwasher is new, cut back on rising. Newer models clean more thoroughly than older ones. 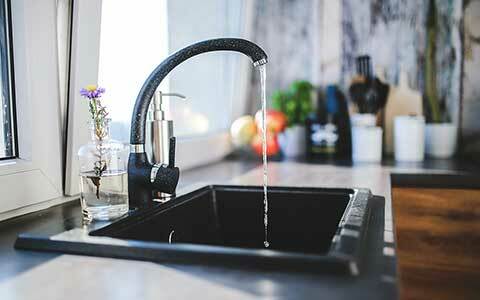 Install aerators on the kitchen faucet to reduce flows to 1.5 gallons per minute or less. 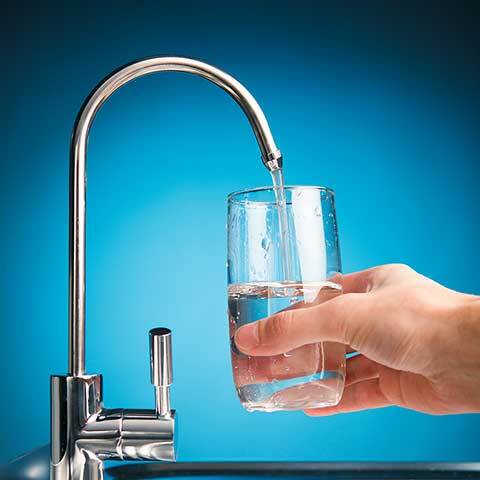 Keep a pitcher of drinking water in the fridge instead of running the tap. If you accidentally drop ice cubes, don't throw them in the sink. Drop them in a house plant instead. Check for leaks by adding food coloring to the tank, if the color makes it into the bowl within 15 minutes you have a leak. A constant running toilet can waste 72,800 GALLONS, that’s equal to over 4 backyard pools of water. A showerhead leaking at 10 DRIPS per minute wastes more than 500 GALLONS per year. That’s equal to 60 LOADS of dishes. While some leaks are easy to see, many can be hidden. Find out if you have a leak in your home by reading your water meter before and after a two-hour period when no water is being used. If the readings are different, you have a leak.